Erma Bombeck made an appearance of sorts near her hometown of Dayton this summer. The “of sorts” refers to the fact that the celebrated humor columnist has been deceased for more than two decades. So, how did the famous writer who elevated the American housewife from invisible fixture to celebrity come back to life? Through the expertise of Chautauqua performer, Susan Marie Frontczak. 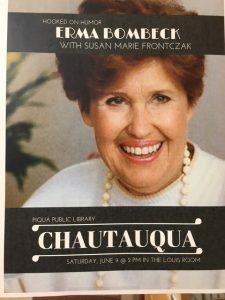 Frontczak’s captivating June 2018, Chautauqua living history performance as Erma Bombeck at the Hance Pavilion in Piqua’s Fountain Park initially hooked me. 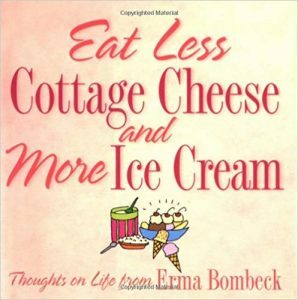 After all, if you are an “older” female journalist like me, you can’t help but be impressed by Bombeck’s successful and pioneering career. Born in Dayton in 1927, by 1942 Erma became a copygirl at the Dayton Herald during her high school years, and eventually graduated from the University of Dayton in 1949. Referring to her successful column writing formula, Bombeck instructed, “Hook ‘em with a lead. Hold ‘em with laughter, Exit with a quip they won’t forget.” Yes, Erma was a wordsmith extraordinaire who put a face on the then suburban wife’s devalued plight of running a household and mothering children, and who made people laugh while doing it. Personally though, it wasn’t her humor that inspired me most, but a poignant poem she penned titled, “If I had my life to live over.” For many years, I carried a newspaper clipping of the poem in my billfold until the paper turned yellow, and became so brittle from handling that I finally had to throw it away. “Someone asked me the other day if I had my life to live over would I change anything. My answer was no, but then I thought about it and changed my mind. 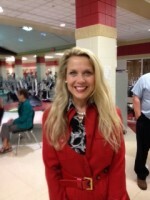 Christina Ryan Claypool is an Amy/Ohio AP award-winning freelance journalist and inspirational speaker. Contact her through her website at www.christinaryanclaypool.com. Her novel, Secrets of the Pastor’s Wife will be released fall 2018. Did you ever have one of those days when nothing seems to go right? I’m not talking about huge problems here, just a string of trivial irritations that add up. Then with a lot on your mind, when a normally minor annoyance occurs it’s easy to get out of sorts. 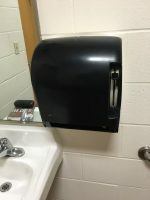 In my little world, the last straw for me on a particularly stressful day was the paper towel machine in the ladies restroom of a public building that refused to cooperate. Concerned about being late for an important appointment, I stood there frantically waving my wet hands in front of the designated detector with no success. And then I laughed. It was the kind of belly laugh that comes from deep inside when pent up emotion is finally released. The teens chimed in laughing with their girlish giggles sounding like a rippling melody. It’s that simple, I laughed, and suddenly the whole world seemed brighter. Decades were spanned in that moment of laughter too, and camaraderie forged between the generations. In that instant, I was reminded that sometimes the young are just as afraid of not being accepted by us mature adults, as we are of them. I also realized that it had been awhile since I had heard the sound of unrestrained laughter. Instead, lately I have noticed the stoic faces of human beings everywhere, assuming the continually charged political climate, back to school blues, or unusual summer weather might have been taking a toll. 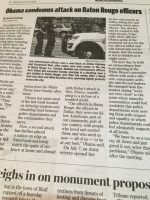 An April 2016 post on the Mayo Clinic website www.mayoclinic.org, “Stress relief from laughter? It’s no joke,” reports that laughter can, “Stimulate many organs…Activate and relieve your stress response… [and] soothe tension. Laughter can also stimulate circulation and aid muscle relaxation, both of which can help reduce some of the physical symptoms of stress.” We have known that laughter is healthy for us dating back to Biblical times. To quote the famous proverb, “A merry heart does good like a medicine, but a broken spirit dries the bones,” which remains a common saying in our everyday language. Many of us could use some relief from stress, but we won’t all find the ability to laugh through the same method. Recounting humorous events, telling funny jokes, reading the comic section, watching slapstick TV, or viewing a comedic movie might result in a few chuckles. If all else fails, you could try tickling a loved one. I wouldn’t tickle a co-worker though, because you will probably find yourself unemployed. Speaking of employee etiquette, I used to have to endure colleagues who relished telling dumb blonde jobs before the advent of political correctness or lawsuits for workplace discrimination. I never enjoyed being the brunt of the joke having had blonde hair all my life. I was deeply touched once when a co-worker asked for my forgiveness for telling a rather harmless dumb blonde story sensing my discomfort. That’s why a word of caution is necessary, because humor can be based on cruelty. That’s why a word of caution is necessary, because humor can be based on cruelty. Hopefully, most folks mature into understanding that it’s never appropriate to make fun of other people, unless you are a presidential candidate of any party. Sorry, I couldn’t resist. But it is good to laugh at ourselves when we are taking life too seriously. For me, on blue days watching a couple YouTube videos of babies laughing or pets doing funny things usually lifts my spirits. 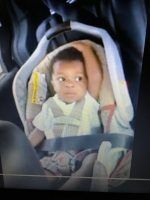 Click on this cute baby’s photo and I’ll bet you that you won’t be able to not smile. Yet it is those spontaneous happenings when someone in a conversation or group does or says something that is so hilarious that you can’t help but bust out laughing, no matter what else is going on, that’s best. Think about it. When was the last time, you had a good belly laugh? So good that you wiped the tears from your eyes and ran for the nearest restroom? When you get there watch out for the paper towel machine. 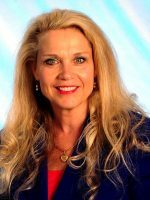 Christina Ryan Claypool is an Amy award-winning freelance journalist and inspirational speaker. Contact her through her website at www.christinaryanclaypool.com.